Gary Vs The Monsters | They Might Be Gazebos! Fresh on the virtual shelves. You can grab it up on DrivethruRPG or RPGNow. A POD version will be coming soon via Lulu. So grab this one up and stay tuned for more stuff! Yeah, stuff that’s a technical term. Here we go on the final countdown. I finished up the final draft last night. That means final editing and layout are next. Yippee! That means today I’m going to share a bit about the last two character classes in the game. The Mystic and Psychic. These two classes add a bit of supernatural power on the player character’s side. But not as much as the standard fantasy game. After all, Gary Vs the Monsters is all about campy horror. The Mystic would be the very rough equivalent to the magic-user from any fantasy game. Mystic also has very broad range when it comes to roleplaying opportunities. A Mystic character could be anything from the so-called kitchen witch to a Catholic priest. They are the class that has the best knowledge on the supernatural. Instead of a long list spells that get more powerful as the character advances in level, there’s a short list of basic spells. Mystics can cast more spells per day as they advance. The first thing to note is that aren’t any damaging spells. No fire balls. No magic missiles. Nothing like that. In the basic Gary Vs The Monsters book, Mystics only have five spells. They are Bless (making holy water or buffing another player character), Circle of Protection (keep the monsters at bay until somebody or something disturbs magical runes), Divination (a little fortune telling), Exorcism (what it says and it ain’t easy), Faith Healing (restore a few Hit Points cause you’ll need all you can get). The Psychic is all about information. Things you probably can’t learn with research or don’t have the time or means to do any. 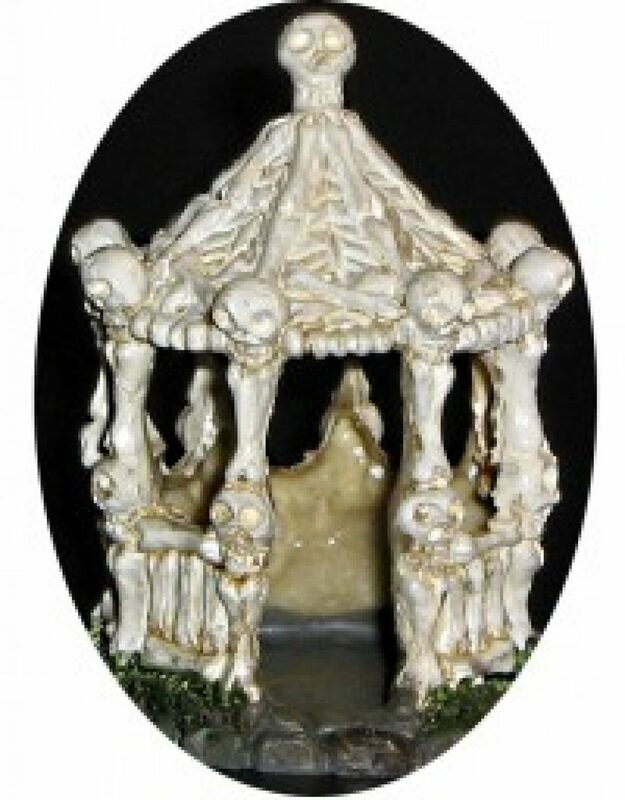 Of course, Psychics can hold seances and talk to ghosts and spirits which can be handy until the Psychic gets possessed then you might need a Mystic’s help. Of course, they can also do object reading and a little bit of telepathy. And as a great tool for the GM, Psychics also get random visions. They also have a few neat tricks that help with their armor class and they’re really hard to surprise. They can get “bad feelings” about people or places. Unlike the Mystic that has a limited number of uses of their supernatural powers, the Mystic makes Skill Checks. (Remember. We’re using Saves as Skills). It’s suggested that the GM do these in secret. Why? Well, they don’t know if there’s nothing there or that character failed their roll. It keeps them on their toes. But when the Psychic’s radar does go off then it’s time to worry. So there you go. The last two classes for Gary Vs The Monsters. Now, I can say coming very soonish. Stay tuned to for more or drop the Google+ Community. Plus you might here about what crazy stuff is coming up next. Time for another update. This week, I’m going to talk about Fear and another class, The Normal. First, FEAR. After all, Gary Vs The Monsters is a horror game and with a horror game you have to have fear. Digging through my gaming shelves and the internet, there’s few fear mechanics that are popular. One is just scare the players. No real mechanics for the characters. Then there’s the characters run away. The other is to use some sort point system to tell how scarred the characters are. Gary Vs The Monsters is an old school game. One of the tenants (IMHO) of OSR games is the players’ freedom to choose. Do they run away or not? So I ran with that idea. When the party runs across a monster or monsters, each player character makes a Fear Saving Throw. Survivors get a bonus to Fear Saves. For each player character who fails, the GM rolls on a little chart and the monster(s) get buffed. More dangerous or frightening monsters have a modifier to Fear Saves against them. The monsters feed on fear and the more people who are frightened by them, the stronger they get. So the more characters who fail the save, the more dangerous the monster becomes. The player characters don’t have to run but if a bunch of them fail then they really should run. It’s their choice. This would only apply to player characters. Let’s face it if there’s 20 innocents and 5 player characters then most of those innocents will probably fail their Saves. The game is dangerous enough without add that much on and plus I don’t think any GM wants to roll on a simple table 10 times. And here’s some rants on another class. The Normal. All of the player characters are supposed to be “normal” people. The Normal is extra not extraordinary. Normals do have some neat abilities. They are the best at their Day Job. They gain a bonus when they run away from monsters. However in the world of monster hunting, they do have some good tricks to bring to the table. If something weird is going to happen then it will be to the Normal. Normals make great monster bait. If the Normal is getting attacked by a monster then the other characters get a bonus attack and damage that monster. And lastly, they’re really lucky. Once per game session, they can totally avoid getting killed. There you go. More previews and rants. Stay tuned for more and dang. We’re getting really close to getting this done. Well, here’s another logo for one. Don’t worry previews of the cover are coming soon. But that ain’t what this post is about. It’s about the basics of the game and a little about one of the classes, The Survivor. Let’s talk about the Basics. It’s designed around the much loved White Box rules. So if you’re an OSR fan, you’ll be able to pick it up and play with no problem. If you’re not then it’ll be real easy to learn. Now there are a few changes and additions. Gary Vs The Monsters uses Saving Throws as Skills. This is a time honored mechanic in many old school games. It’s quick and easy. There isn’t a long skill list. There isn’t a skill list at all. All the player characters are assumed to be average folks who end facing monsters. So as part of character generation, the characters have a “Day Job”. You know the normal things like retail clerk, slacker, pizza delivery. When a character attempts something that may be related to their day job in some way, they get a +2 bonus to the roll. It’s that simple. Yep, it does sound a lot like the Occupations from Dungeon Crawl Classics. The second big difference is that all player characters have a +1 Attack Bonus. It doesn’t get better as the character gains levels. (Note: There is an optional rule to add it if the GM wants to play nice.) Attacking supernatural monsters isn’t easy. But characters do get better at ducking which translates to a bonus to Armor Class. And speaking of Armor Class. This is deliberately left as very light rule. It doesn’t matter what armor a character is wearing. It can be a Kevlar Vest, something from the Ren Faire, or sheet metal duct taped to their chest. It give a -2[+2] AC bonus. Now, I’ll move onto the Survivor. In comparison to the usual fantasy RPG classes, the Survivor is sort of like the Fighter. They have the best Hit Points. They gain the Armor Class bonuses. See above. They gain a bonus to Save versus Fear. Plus they’ve got some other neat tricks. Survivors have their Boom Stick. This is their weapon that they gain a bonus to hit and damage. They have the ability to quickly heal a few Hit Points. They’re also The Last One Standing. What this does is give them an additional bonus to hit and damage for each player character killed by monsters during the current combat encounter. Yeah, that’s right. It’s a deadly game. I should have mentioned it sooner. Gary vs The Monsters is deadly dangerous. The monsters have the player characters out classed just about every time. It’ll take wits, ingenuity and a lot of luck to survive. So with that. I’ll leave till my next rant. If you want info or whatever, you can join up the Magic Pig Media Community over on Google Plus. Well, Stark Space is out and the POD version of Have Death Ray Will Travel is available. It’s time to move forward to the next great project. This one is the biggest I’ve done so far. Gary Vs The Monsters! First. What is it? This is campy schlock horror based around the wonderful White Box rules. You know the kind of movie that was popular back in the 80’s and 90’s where you would face guys like this. It ain’t about brooding vampires, misunderstood werewolves, or repentant demons. 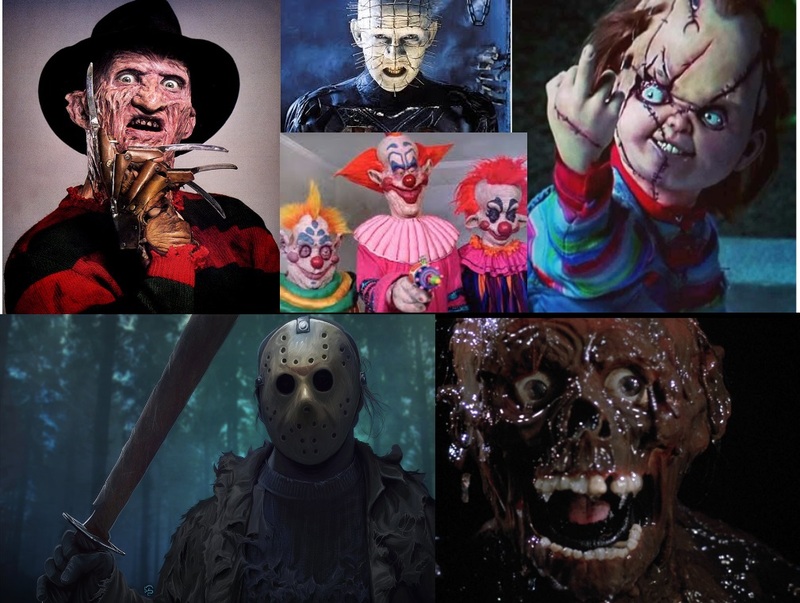 It’s monsters that want to rip off your face and eat it. Who dares fight against the forces of darkness? There aren’t any Chosen Ones or Champions. It’s ordinary folks who might have a couple of tricks up their sleeves. People like this. 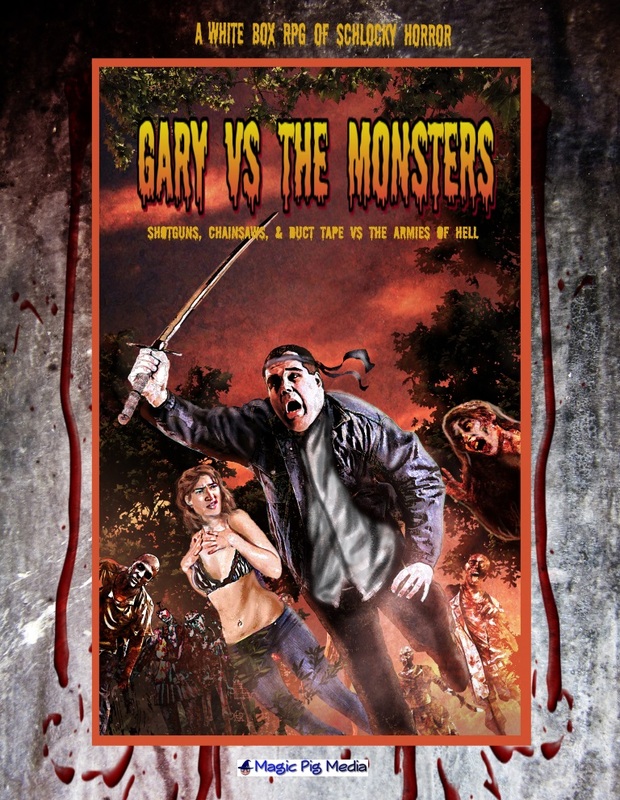 The other question I’ve been asked is “What’s with the title?” Gary Vs The Monsters. It’s like this. Gary is very “common” sounding name. Sorry, if your name is Gary. It’s also a little homage to Gary Gygax. Oh, and the Vs The Monsters part. Two fold. 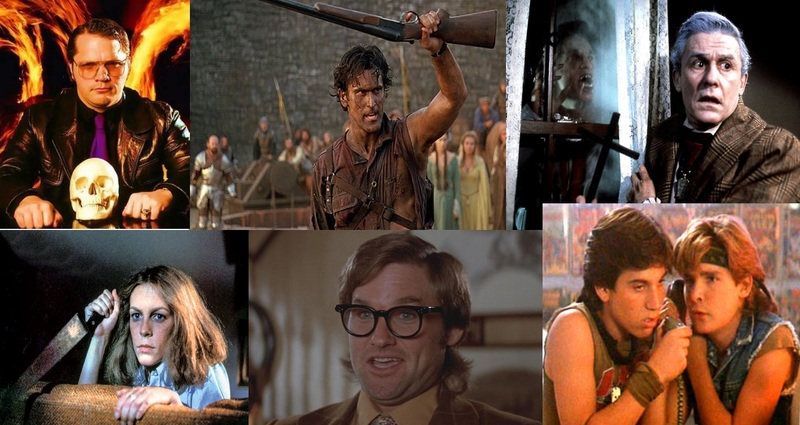 One, of course, is Ash Vs The Evil Dead. The other is Monster Squad. Not exactly a direct fit but any movie with the line “Wolfman’s got nards!” is right up there in the Gary Vs the Monsters Appendix N.
So stay tuned for more rants about Gary Vs The Monsters. It’s coming soonish.